Looking for a new Nissan Kicks for sale near Martinsville? 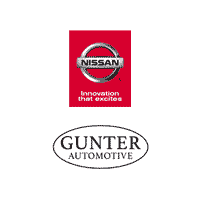 Then look no further than our inventory here at Gunter Nissan of Martinsville. Get the premium options you want in a Kicks S with a RearView Monitor back-up camera and Bluetooth wireless connectivity or the comfort of modern safety features in a Kick SV with blind spot warning sensor and dual stage driver and passenger seat-mounted side airbags. For added savings, check out the latest Nissan offers & incentives. If you'll be trading in your current vehicle, we make it easy to value your trade online before your visit. Browse our inventory to find the perfect new Nissan Kicks SUV to drive home to Danville. Now that you've browsed our inventory of Nissan Kicks for sale, it's time to experience driving one by taking a test drive. Contact us today to schedule your visit to our showroom in Ridgeway near Greensboro, NC.